Unity for Direct Line take the award for #merryfixmas, a festive reboot of the insurer's central campaign. The award is sponsored by 72Point. Unity was briefed by Direct Line to conjure up a festive reboot of its successful ‘#directfix’ campaign. This activity had seen the insurance firm help hundreds of people with a variety of problems including travel woes, weather issues, fashion dilemmas and even a crisis of confidence in an amateur football team, for which England legend Stuart Pearce was brought in to change the team’s fortunes. The idea for #merryfixmas was to move from bigger problems to smaller ones, based on the idea that lots of little things just don’t quite go right at Christmas. 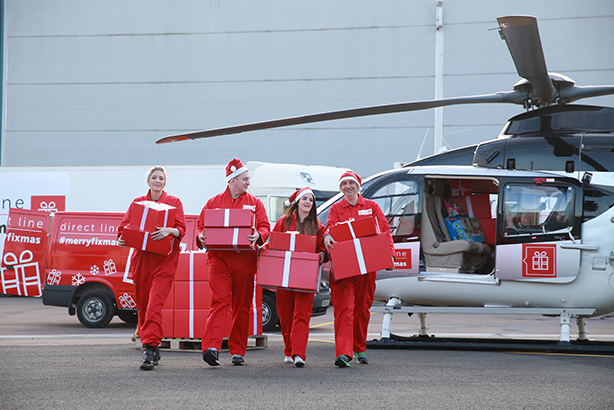 The campaign was again based on Twitter, listening and responding to people who had run out of mince pies or forgotten to buy a ‘secret Santa’ gift. The campaign also included some larger problems in order to guarantee press coverage and public interest – for example, Christmas jumpers were made for cars that wouldn’t start because of the cold and a ‘turkey-mergency service’ was created to replace burnt birds on Christmas day – ensuring plenty of festive goodwill for the firm. The campaign beat financial targets and exceeded by threefold a financial services benchmark for consumer campaigns.